Echo cancellers are designed to treat harmonic inputs with a great degree of caution. Of course an implementation of such a general functional requirement may be achieved in various ways. Regardless of the specifics, echo cancellation solutions either have to be equipped with harmonic signal detectors (to detect single or dual-frequency tones) or they have to rely on external tone detectors. 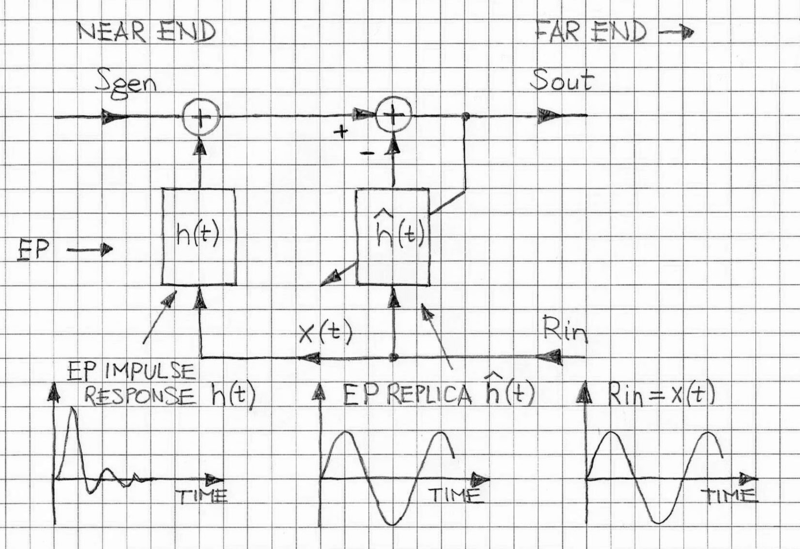 Figure 1: Illustration of NLMS adaptation for the harmonic input; the adaptive filter impulse response adopts a sine form, which is very different from the desired impulse response. One of the important reasons an echo canceller has to be equipped with a tone detector comes from the basic property of adaptive filtering: the presence of harmonic excitation during adaptation leads to an incorrect replica of the echo path impulse response (cf. Ref.). Figure 1 depicts an example of NLMS adaptation for the harmonic input in which the adaptive filter impulse response incorrectly adopts a sine form, which is very different from the desired impulse response..
To prevent the adaptive filter from converging to the wrong replica of the echo path harmonic signal detector (tone detector; that includes dual frequency tones) can be used. Upon detection of a harmonic signal the adaptive filter adaption is frozen. Figure 2 illustrates a high-level bloc diagram of echo cancellation solution that includes tone detection functionality. There are several other scenarios requiring the presence of tone detection which are ready to respond quickly to harmonic inputs. For example proper handling of the dial tone (coming from the far end) and signaling tones (such as DTMF tones) generated at the near end is mandated by Test # 16 of the ITU-T G.168-2012 (cf.Ref.). 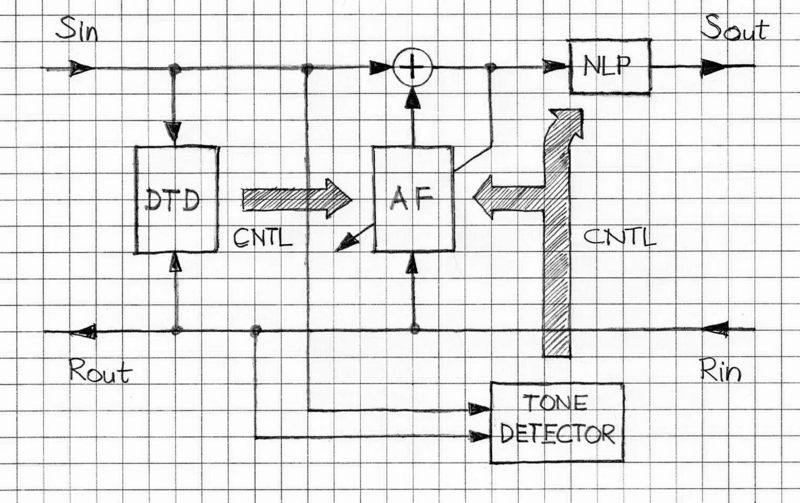 Design and implementation of the tone detectors is a separate specialty within the DSP applications. There are several proven approaches to efficient tone detection they include Goertzel Algorithm, generic DFT-based algorithms, algorithms based on IIR filter design and also based on Teager-Keiser energy operator approach (cf.Ref. ), to mention a few. Also, a subspace technique called Multiple Signal Classification (MUSIC) is used, albeit seldom, due to its computational requirements (Ref.). VOCAL’s Echo Cancellation solutions and their implementations have been successfully tested in typical environment and deployed widely. They are equipped with all required facilities, including necessary tone indicators/detectors. They can be ported onto any of the typical DSP processors. Contact us to discuss your echo canceller application with our engineering staff. Fundamentals of Adaptive Filtering, Ali H. Sayed,; IEEE Press; Wiley Interscience, 2002. ITU-T, G.168-2012 (02/12); Digital Network Echo Cancellers.